To get your free ticket, please click here (limited seating available). Worship service featuring award-winning gospel quartet, Poet Voices. God has miraculously lifted him, equipped him, and brought him to a place of prominence in music ministry. Certainly, Phil Cross is no stranger to Christian music. He has long been known as one of today’s finest composers. He has received many of Gospel music’s highest honors including Dove Awards, Song Of The Year, and Songwriter Of The Year honors. Although he has gained recognition as a composer and a singer, and has had a great deal of success as a musician, Phil has remained genuine and sincere. His strongest desire is to let everyone know that God is on their side and He has an incredible plan for their lives. In 1991, Gospel Music songwriter, Phil Cross formed Poet Voices. Gospel Music fans quickly fell in love with the music and message presented by this unique new voice. Over the years the group became a staple in Gospel Music and garnered many of the top honors in the field. Most importantly, they were recognized by both fans and peers as one of the most respected ministry teams in Gospel Music. With ten acclaimed recordings to their credit, as well as numerous popular releases, including five Number One hits, Poet Voices has firmly established a place at the forefront of Christian Music. Since its formation in 1991, this popular group has gained the respect of its peers and Gospel Music supporters alike and continues to be one of Gospel Music's most beloved and impactful groups. Audiences across the world have enjoyed and been ministered to by the extraordinary songwriting talents of Phil Cross. 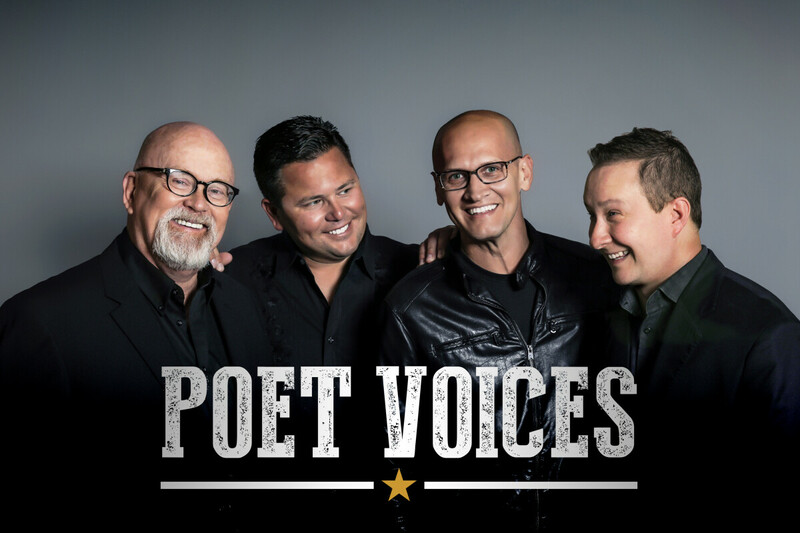 After a 15-year break from touring, Poet Voices returned to the gospel music stage in 2018. Along with new music written by Cross, Poet Voices will perform some of Phil’s most loved songs made popular by the group – “I Am Redeemed,” “Jesus Built A Bridge,” One Holy Lamb,” “Grace and Glory” and more – along with Cross compositions made popular by other artists – “Wedding Music” by the Cathedrals, “Miracle In Me” by the Speers, “When I Get Carried Away” by Gold City, “Yes, I Am” by the Hoppers, along with the iconic tune, “Champion Of Love” made popular by the Cathedrals – the first gospel song ever recorded with the London Philharmonic Orchestra. Songs that hit #1 on the gospel music charts are indicated.